An apostrophe is used for so many reasons! 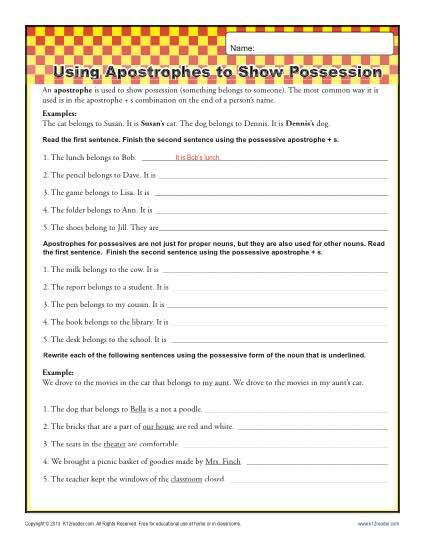 This worksheet focuses on the use of apostrophes in possessive nouns. Students will rewrite sentences to make a noun possessive. It’s helpful for 2nd grade Literacy for Common Core Standards. It may also be used for other students as needed.